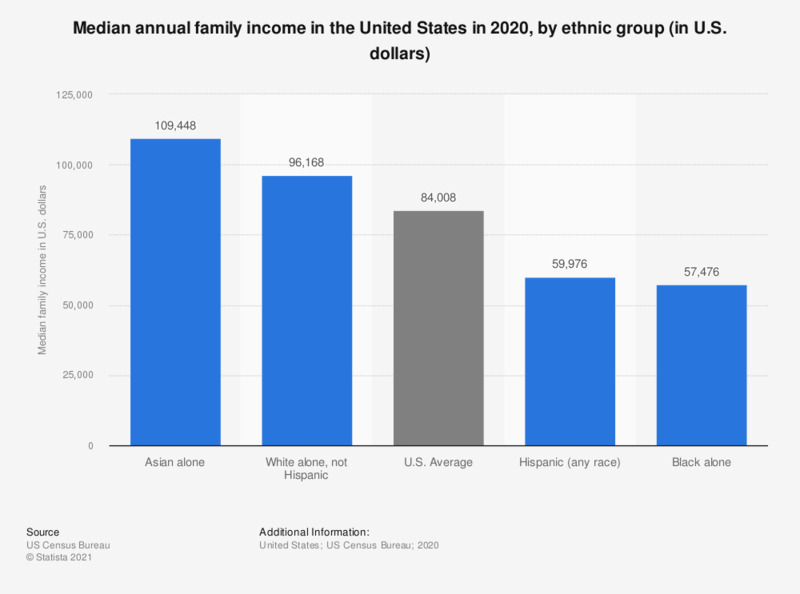 The statistic shows the median annual family income earned in the United States in 2017, by different ethnic groups. Family income is the total income earned by all family members who have been living in the household for at least one year and are at least 14 years old. In 2017, the average family income earned by Black families in the United States was 50,870 U.S. dollars. Family income is the total income earned by all family members who have been living in the household for at least one year and are at least 14 years old. The term "income" is broad, including income earned through employment, business, farming, rent, pensions, dividends, interest, social security, and any other money income.